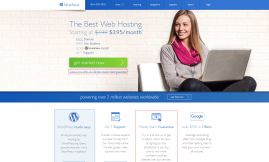 Most people who have a website choose to place it on a shared web hosting account because it is a very affordable solution, but there are those who want even better performance and stability than a web hosting company has. These users usually get a VPS or a dedicated server instead. VPS stands for Virtual Private Server. When you obtain a VPS, you will not get your own server without sharing one or more servers with other users, although a VPS will work as its own server because it is Virtual. This means that other users’ behavior does not affect your VPS at all, which they sometimes do on a web host. Other advantages of VPS are that it is usually more stable and faster than a web host and you can choose from several different processors and sizes of RAM. This allows you to price performance and if you want a real fast VPS, just choose a fast processor that has multiple kernels and has a large RAM. The only disadvantage of a VPS is that it is a little more expensive than a shared web hosting account, despite the fact that VPS prices have fallen a lot over the past year.